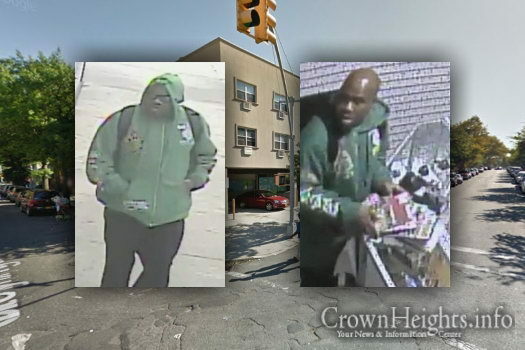 On Sunday, May 15, a man broke into an electronics store on the corner of Sterling Place and Troy Avenue in Crown Heights. The burglar made off with cash, tablets, video games and gaming consoles worth thousands of dollars, and is being sought by police. According to police, the suspect broke into the building’s office area around 1 a.m., took approximately $300 from the register. Police say the man then broke a glass case and took 100 video games, an Xbox 360, a PlayStation, eight tablets, eight Android watches and two cellphones before running off. 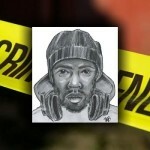 The suspect is described as between 6’1″ and 6’2″ and around 250 pounds. 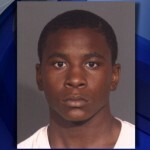 He was last seen wearing a green-hooded sweatshirt, black pants, green, white, and black sneakers, and a black book bag on his back. thats a great, clear picture, they should be able to catch him. I once read someone’s comment that there should be surveillance cameras subsidized. I agree with that, I’d like to see more people get the cameras. When I lived at 1320 sterling place, 1937 to 1956 there was Hymies , Bermans, Malloys saloon and a butcher shop on that corner. Hymies and Bermans were grocers who tallied the bill on the brown paper bag.Kids would stand outside the saloon to watch Milton Berle on TV. those really were the good old days.